Smells of gingerbread are in the air. 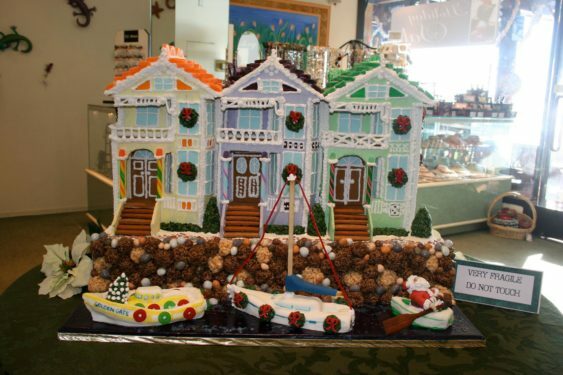 The Sausalito Gingerbread House Tour and Competition has become a true family holiday tradition. From the very young to the very young at heart, the reaction to this magical experience is the same – one of wonder, awe and delight. The time has finally arrived for the 12th Annual Gingerbread House Tour. 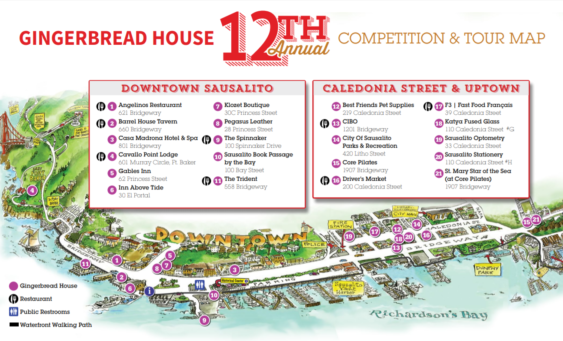 Sausalito merchants and businesses are will be participating, with houses on display every day during the month of December. Looking for something local to do this Holiday season? You’ll find houses downtown along Bridgeway, on Caledonia Street, in “Old Town” and even some at the north end of town. Most of the houses can be viewed on foot in one afternoon. The Gingerbread House Tour makes for a fun family outing, a diversion while holiday shopping, or an excuse to get together for lunch in one of Sausalito’s fantastic restaurants.